Tara Learned is our newest teacher to bring her skills to The Quilter's Lodge. 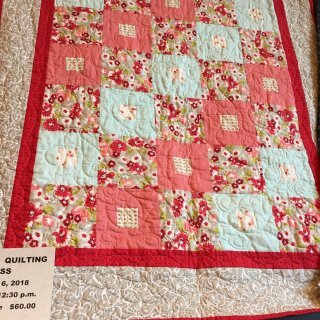 Join her for this 3-session course in an Introduction to beginning quilting, using a Big Block pattern. Tara feels that building from a good foundation helps to get a good grasp on the basics that will square up nicely. Once you work into points and other techniques, you're less intimidated and your finished product is lined up easily. She also enjoys teaching sewists who need a refresher course. All the little steps are important. 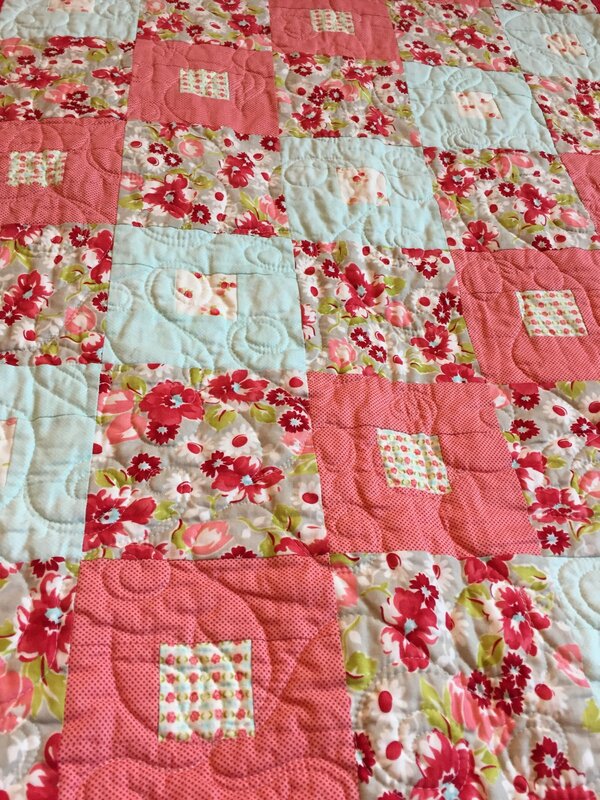 This finished quilt is 52 x 58" and can be made in other sizes. Pattern will be given during class. Class time is short, please purchase all supplies prior to the start of class. 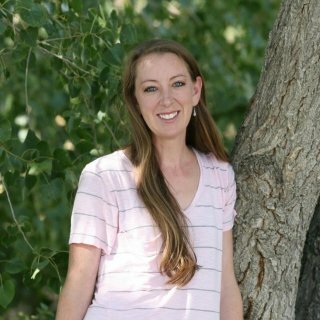 Tara loves teaching all classes but really enjoys beginner classes and helping people discover a fun new hobby. She loves modern quilts, enjoys bright colors, but has an appreciation for tradition. She is a busy mom of three young boys and teaches, pattern designs, and longarms her quilts to escape the chaos. She enjoys quiet time and adult conversation. Her other hobbies include gardening, canning, and a love of traveling with her family.